Everyone has slipped or tripped and fallen at some point – it’s just a fact of life. Sometimes, it happens because we’re distracted or not paying attention. But other times, it’s due to the negligence of others that we find ourselves severely injured from a bad fall. Falls can occur anywhere; a parking lot, entering a grocery store, getting out of an exam table in your doctor’s office, even at your child’s school. Slip-and-fall: Insufficient warning of a slippery or wet walking surface. Trip-and-fall: An object blocked the way with no safety barrier or warning of its presence. Step-and-fall: A hole or other uneven aspect to the area, causing you to lose your balance. Stump-and-fall: a protrusion causes you to stop short and fall. Unsafe conditions such as these can cause serious injuries that result in lost wages, medical bills, pain and suffering, disabilities or other damages you are entitled to receive. 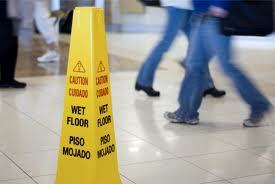 Call us if you have been injured in a slip or fall of any type and at any location. We will assess your incident and if you have cause to file suit, we will fight for your rights and make sure you receive the compensation you deserve. The proven trial attorneys at Fisher Injury Lawyers have a record of success with slip and fall cases. Bryan Fisher, lead trial lawyer at Fisher Injury Lawyers, represented a professional woman injured in a slip and fall at a food bar in a chain restaurant. Our investigation revealed that the slip and fall was caused by water that leaked from the under side of the food bar. Further investigation and questioning of witness’ and employees established that the leak was a chronic problem that had not been addressed by management, that the restaurant failed to place warnings signs in the area of the leak and that the floor surface was very slick even when dry. The case went to trial and we secured a judgement of over $15,000,000.00 for our client. In another case, our client, a 93 year old man, tripped and fell on a handicap access ramp while entering the office of his financial planner. Our expert, a professor at Texas A&M University, determined that the ramp failed to meet ADA, Life Safety Code and other safety standards. He also observed that the main stepped entrance to the building did not have safety rails discouraging older clients from using the main stepped entrance. The case was settled before trial for nearly $200,00.00. 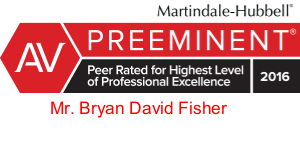 In yet another fall case handled by Bryan Fisher and the team at Fisher Injury Lawyers, our client, a retired woman trip and fell while walking with her husband in a big box home improvement store. Our lead investigator quickly determined that the cause of the fall was an opaque plastic binding strap that remained looped or uncut. We positioned our investigators in the store and established that the looped straps commonly fell from containers while staff restocked merchandise one evening a week. Our clients fall happened shortly after the weekly restocking. Suit was filed and the case settled at mediation for approximately $200,000.00. We regularly accept cases that other attorneys have declined because we have the knowledge and experience to win the tough ones. Our team consists of an in house engineer and an engineer attorney making us uniquely qualified to handle slip and fall cases. If you have been injured due to a slip and fall accident, CALL US NOW at 225-766-1234. Our attorneys are available 24 hours a day for emergencies. If you have an emergency, just call our cell phones. We are here for you. We will provide a free initial consultation – and you will not be charged any fees whatsoever unless we win your case.